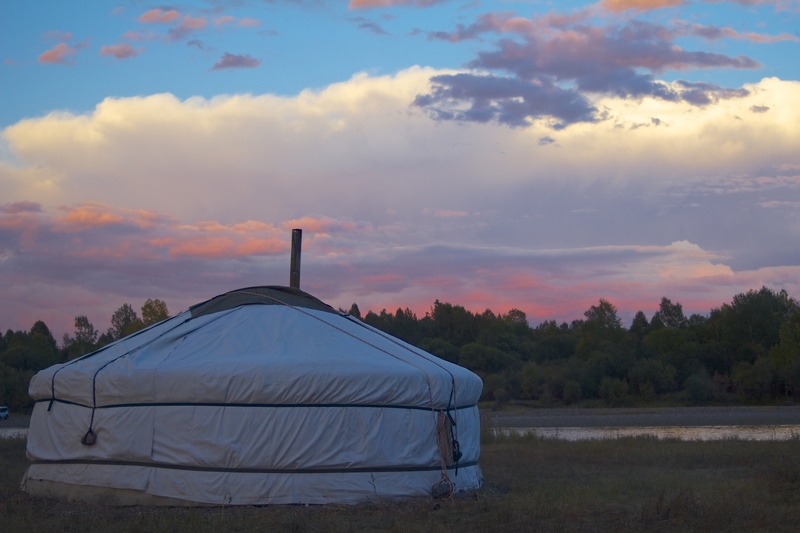 Another season in Sweetwater Travel Company’s Mongolian Taimen Camps is in the books. 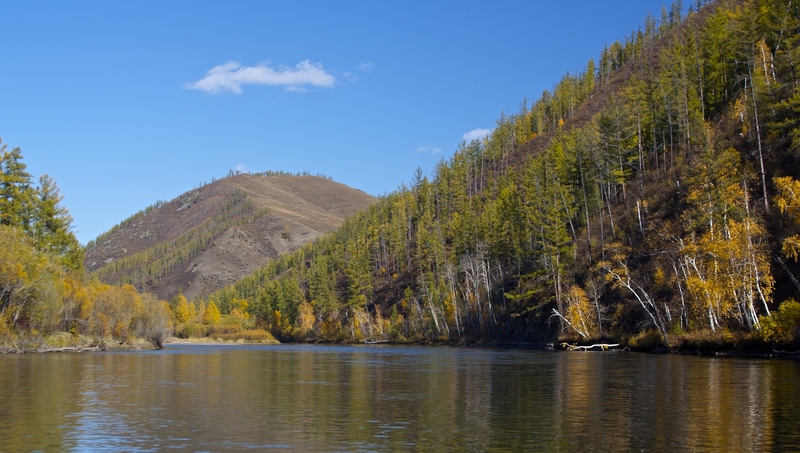 After last season’s high water and tougher fishing, this year the taimen population on the Eg river proved to be healthy and resilient. 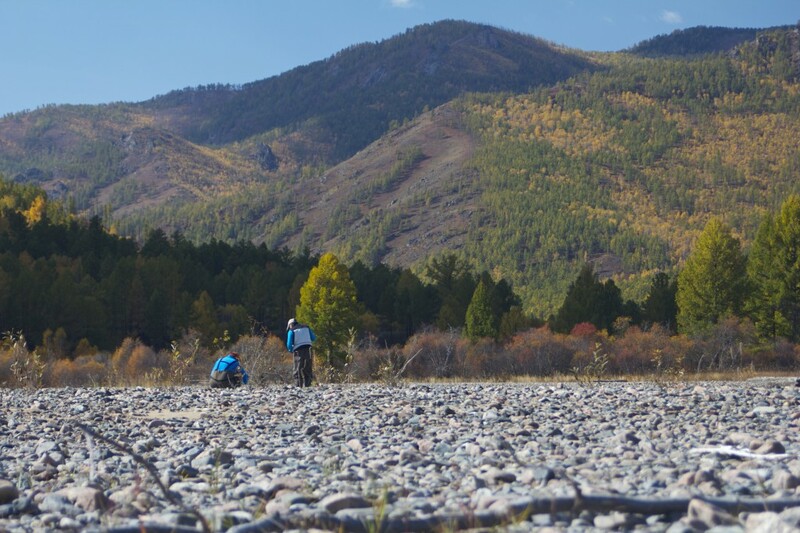 With perfect river conditions and stable weather, the 2014 Fall season reminded us why this truly is the world’s best taimen fly fishery. 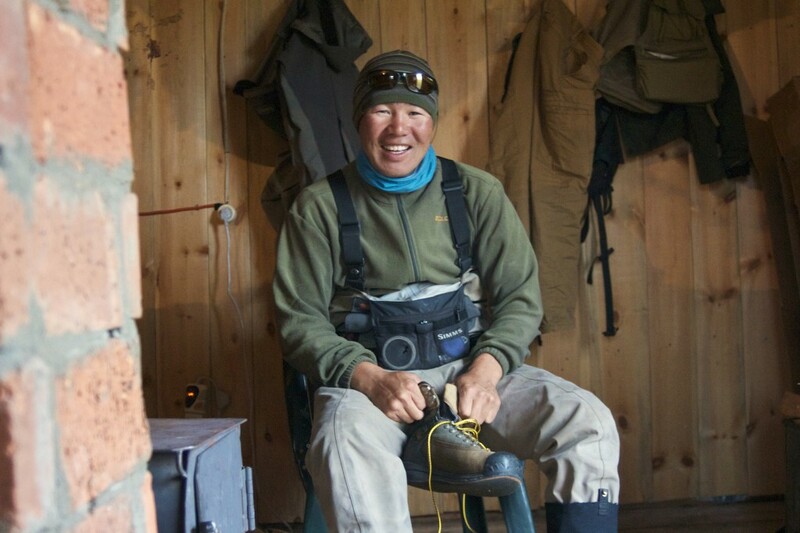 This season, I was joined in the lower camp by Oregon homey and second-year taimen guide, Matt Carter, South African Seychelles veteran, James (Jame-o) Topham, Big Fish Bayaraa, and Ganzorig. 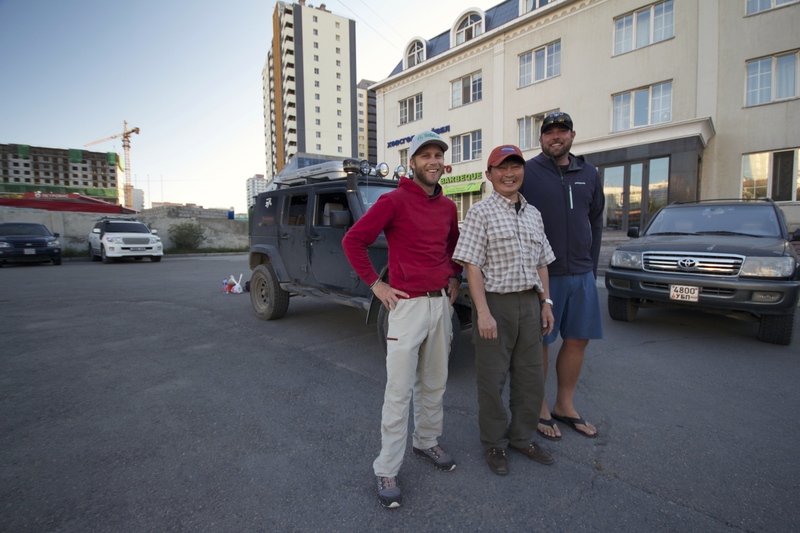 Matt, Jame-o, Bayaraa, and I decided to take Bayaraa’s jeep for the 13-hour drive out to camp from Ulaan Baatar. Along the way, Bayaraa shared his local knowledge of safe potable water sources. Once into the countryside, we climbed into the mountains and bounced our way over several increasingly “rural” passes. Which is not to say that there wasn’t any traffic. 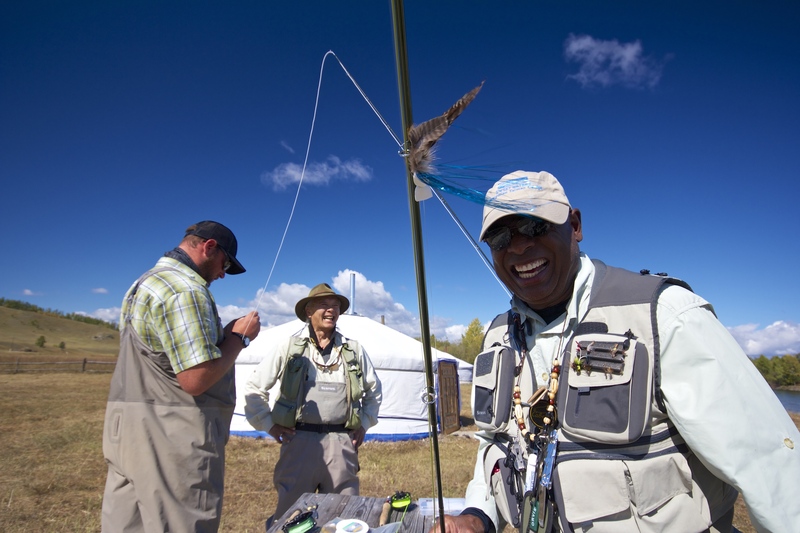 As we finally rolled into camp, the boys shook off the long drive by flexing their tenkara rods (newly acquired from the “black market” in U.B.) in front of camp. It was great to see that the river was in prime shape and that the grayling and lenok were abundant. After a few days of fluffing the camp and boats, we were ready for the arrival of the first group of guests. Week 2: The Dries Have It! Our first group was composed of the original six Texans who had diverted their trip last season when they learned of the blown-out river conditions. Literally pulled from the airplane, they had audibled to a fall-back adventure in Alaska. 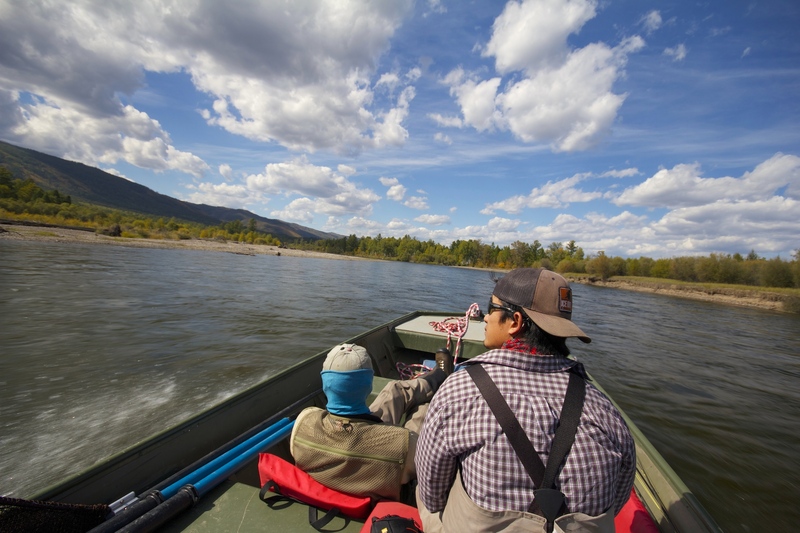 That trip had been a success, and now they were stoked to finally be wetting lines in the Land of the Giants. These guys were all solid fly fishermen, and they wasted little time in getting stuck into some great fish. 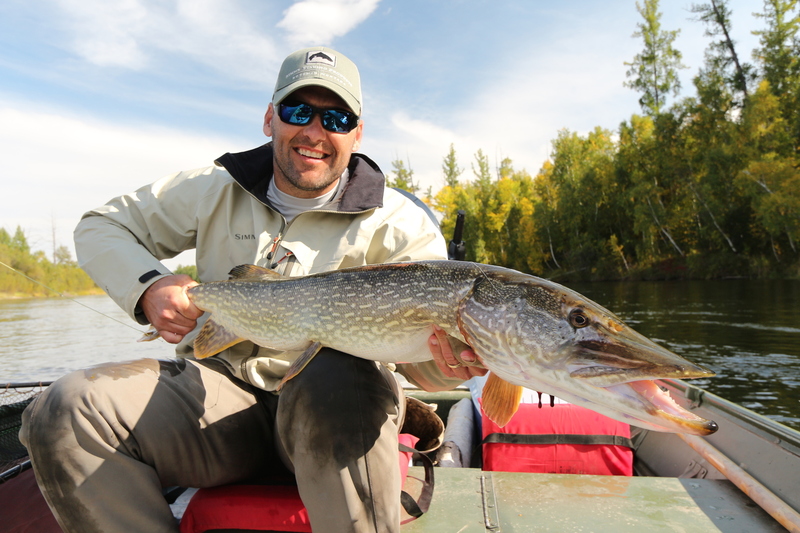 Even the pike were biting dry flies. 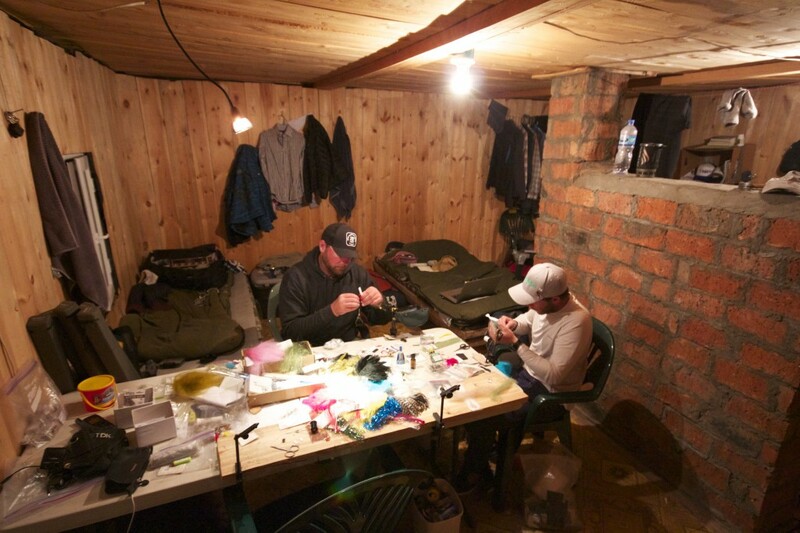 Back at International Guide H.Q., beer-fueled fly tying sessions lasted each night until the generator shut down. The Cyclops was an early-season favorite. As the week progressed, we had some amazing fishing. One day, however was unforgettable: I was guiding Kerry Hagen from Portland, OR, a single angler that had joined the Texans for the week. Kerry had so far experienced less spectacular fishing than the others and wondered aloud if he was doing something wrong. I advised him to hang in there (what else can you say? ), that his day was coming. The day was cloudy and overcast. One of the Texans had reported finding a dozen dead mice in a weedbed near one of our favorite log-jam pools downriver the day before. Hmmm. 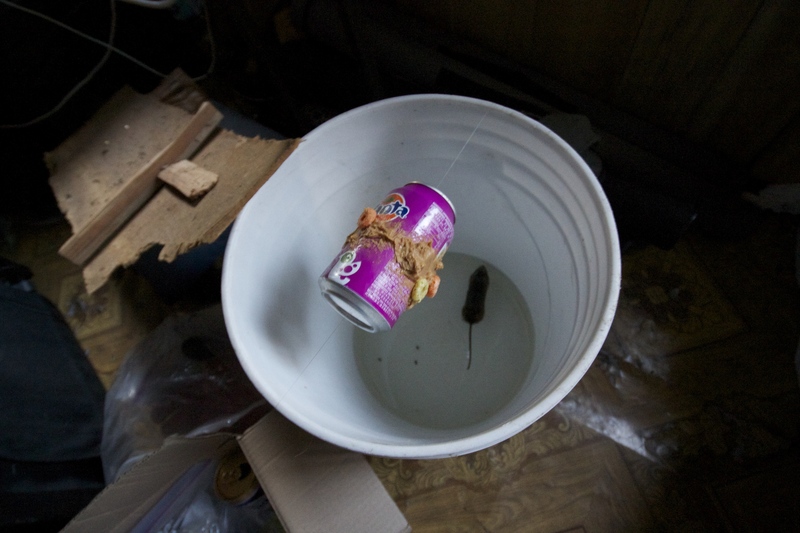 . . Additionally, the nightly dance-party of rodents (and the morning’s casualties) in the cabin suggested that this might be a big rodent year. 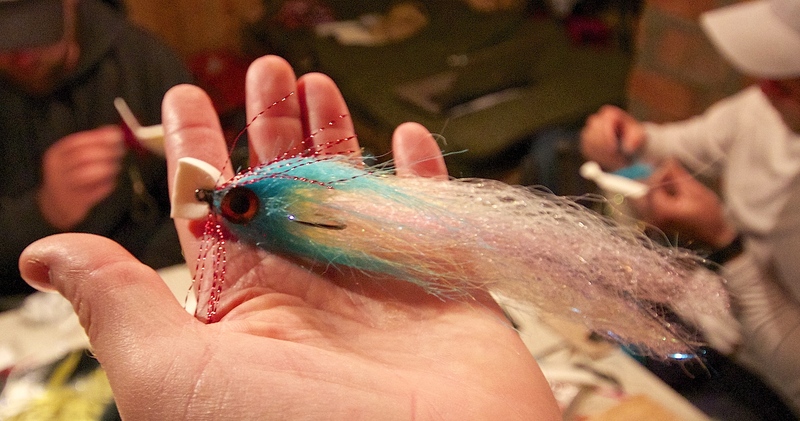 Tying on a fresh mutant mouse pattern, Kerry and I headed down to the aforementioned log jam and waded in. What happened next still defies description. Kerry quickly rose, hooked and landed a nice fish in the 3-foot range, his best of the week so far. And then, it happened: taimen began rolling and porpoising in the pool. Kerry cast again and immediately hooked and landed another 3-footer. In the course of the next 30 minutes, Kerry rose 7 more taimen including a couple pretty big ones, landing 5 more, all around 3-feet long. 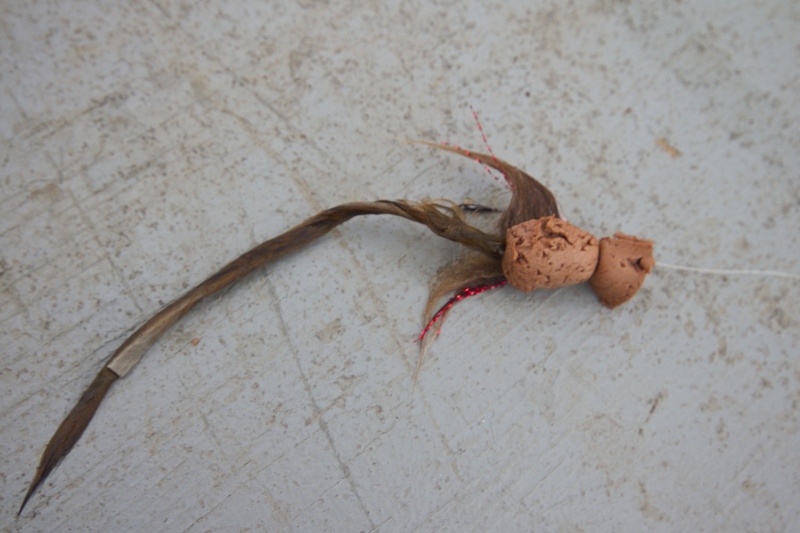 The taimen were clearly interested in the mutant mouse fly. 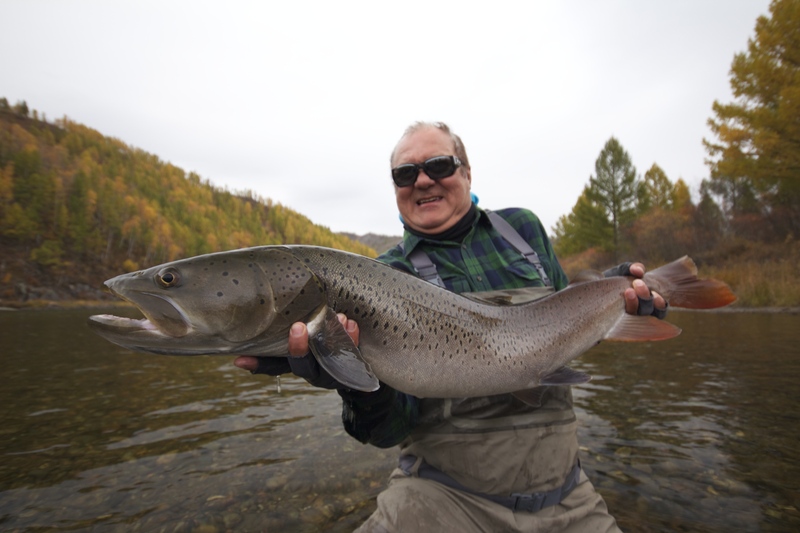 By the end of the week, the group’s official tally was an astounding 119 taimen landed. 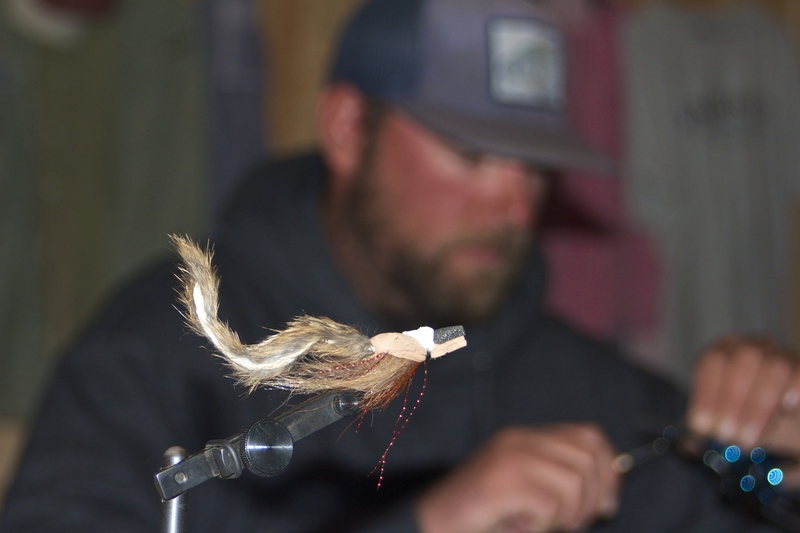 Even though everyone landed trophy-class fish for the week, the true giants risen and lost haunted our nightly debriefing sessions in the cabin. Truly a historic week! 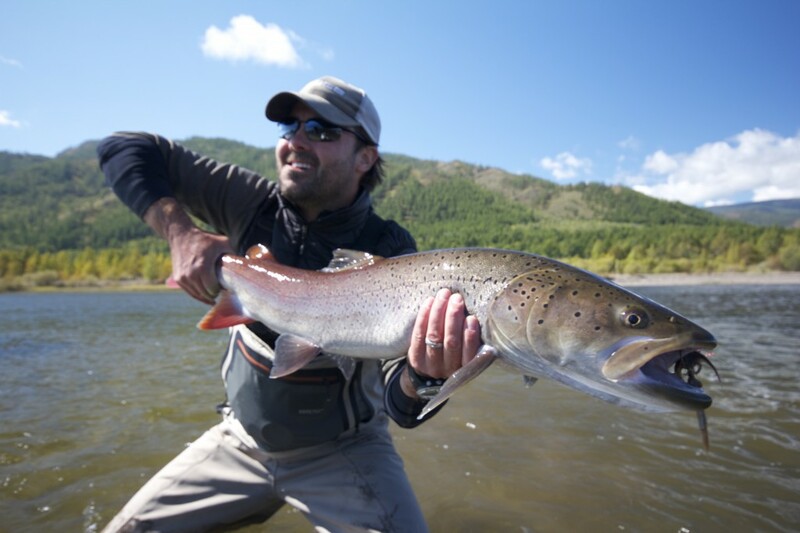 Jame-o left us after the first week to head back to Norway to return to his regular job guiding for huge Atlantic salmon. 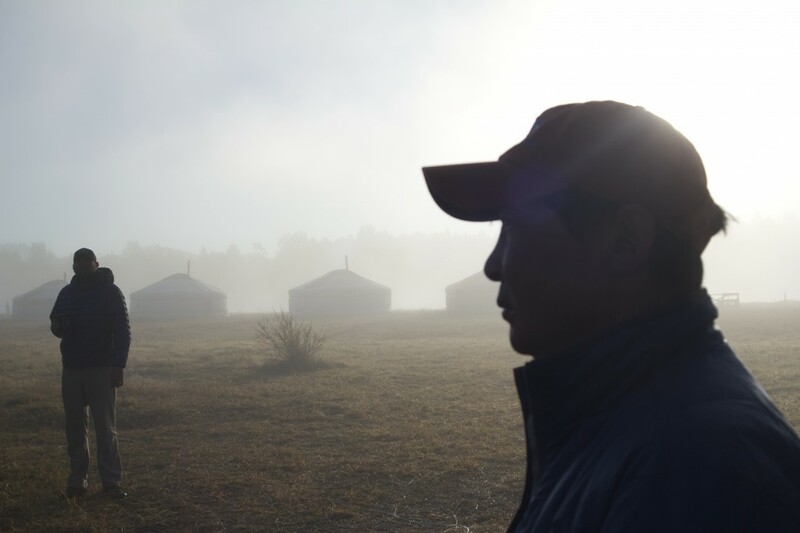 Matt, Bayaraa, Ganzorig and I remained in camp to handle the smaller group of four anglers for the week. 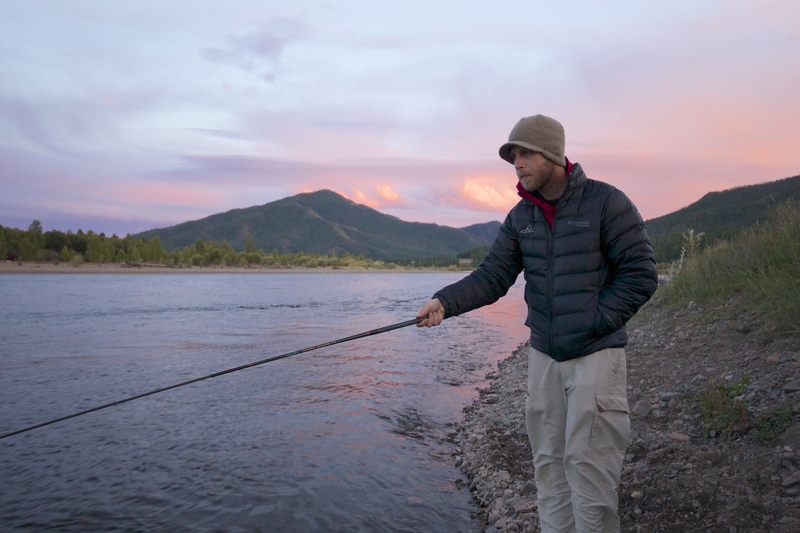 No matter what you are expecting when you come to Mongolia, it is still a bit disorienting when your guide ties on the first taimen fly for the afternoon session. This week the fishing remained strong. 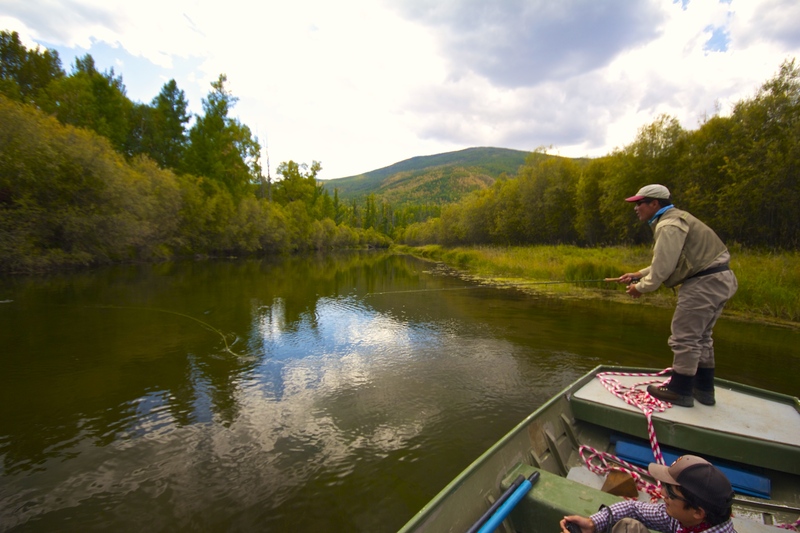 One angler landed a 42″ trophy in the Home Pool in front of camp on the first afternoon. 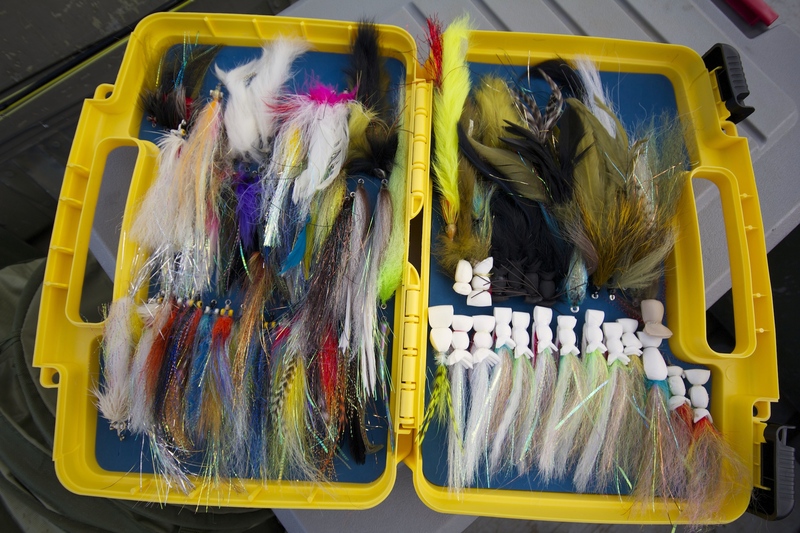 While several very big fish rose to flies during the week, none made it to the bottom of the net. Matt and I were co-guiding when we both witnessed the rise of a giant taimen (well north of 50 inches) to a dead drifted Hairy Kerry. Despite our combined “fervent encouragement,” the fish was not hooked. 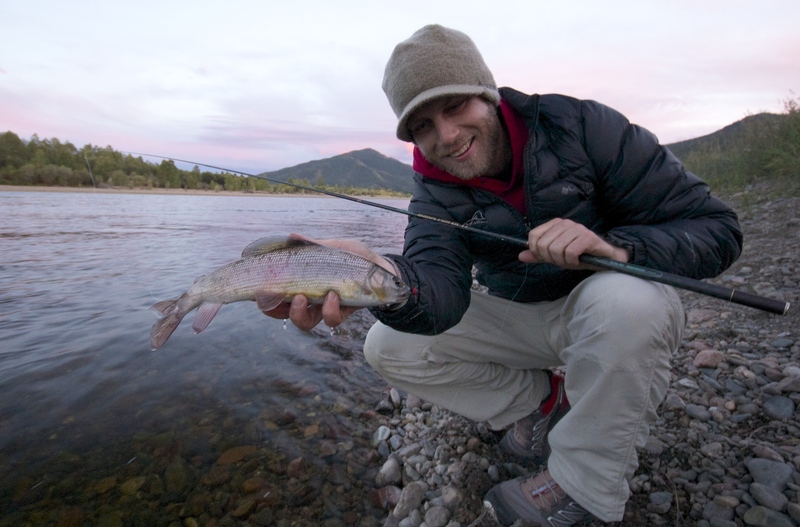 This was the theme of the week, with the guides lamenting the “one(s) that got away,” every evening. Each day dawned foggy and cool with gorgeous afternoons and some amazing sunsets. And the week settled in to its own rhythm. This was a mellow week, with days off for each of the guides, and trips to town and visiting local families for one of the more adventurous guests. 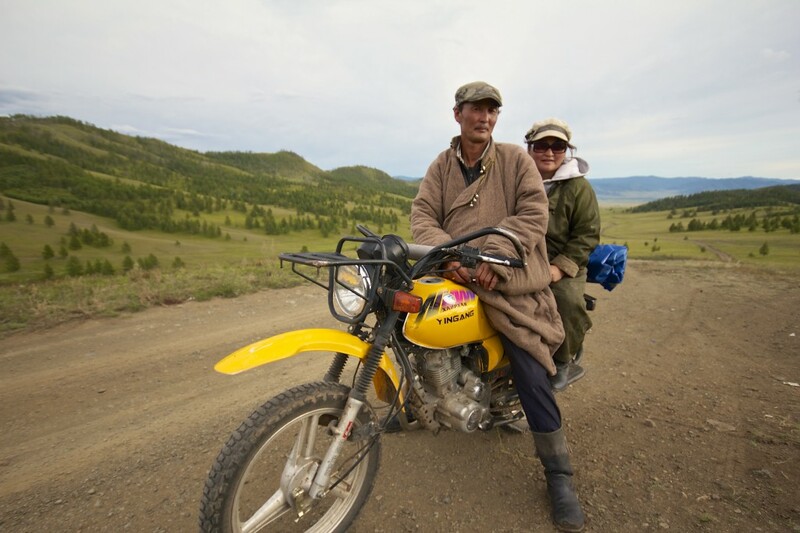 I got to go out one afternoon with Ganzorig and our chef, Sahknaa, looking for pike up one of the sloughs near camp. Week 4: How good is your Portuguese? The next week’s guests hailed from Sao Paolo, Brazil, and most spoke almost no English. I foolishly said I knew Spanish, leading many of the guys to speak nothing but Portuguese and Spanish with me, while the other guides got to speak English. These were great guys. Four of them were serious anglers, good fly casters with lots of experience chasing big fish in cool places around the world. 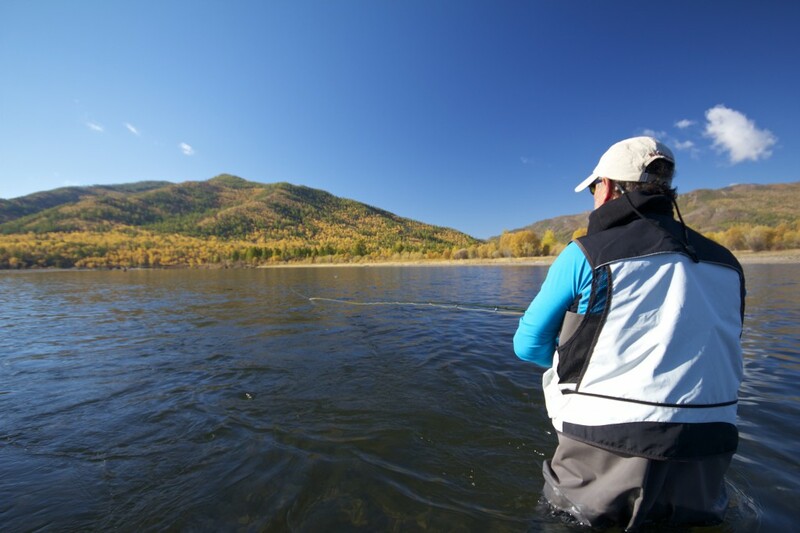 The other three guys (the “three amigos”) were total novices in all things fishing (let alone, fly fishing). Fishing this week was tougher. While the serious guys got after it, enduring the punishment and emotional challenge of taimen fishing, the “three amigos,” had it dialed: trips to town and the inscription rock, visiting local families, riding horses, some days fishing a run or two in the morning, followed by lunch and a nap back in camp, maybe fishing another run in the evening, or wandering the gravel bar looking for cool rocks. They rose a surprising number of taimen despite not really working that hard. The other guys put in their time. . .
And ultimately they were rewarded with taimen encounters that will stay with them the rest of their lives. On the second-to-last day out, group leader, Jose “Big Plum” Godiano had a great afternoon, landing a pair of trophies on surface flies, one of which was the best of the season. At the end of the Brazilians’ week, I packed my gear and hopped on the chopper to head home. 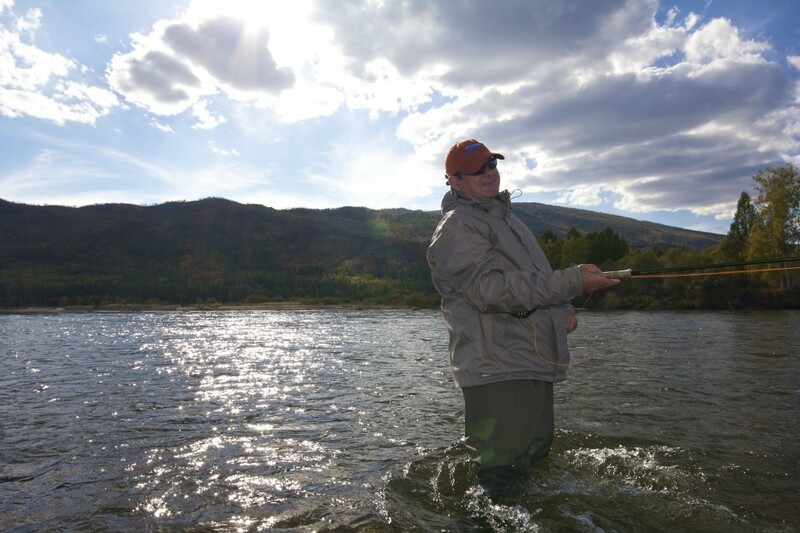 Leaving the boys in camp for one last week of guests, I turned my attention to family, friends and fall fishing in the Valley. Coming through Incheon Airport in South Korea, I was reminded that our economic society has become increasingly specialized. What do you get for friends who already have everything? 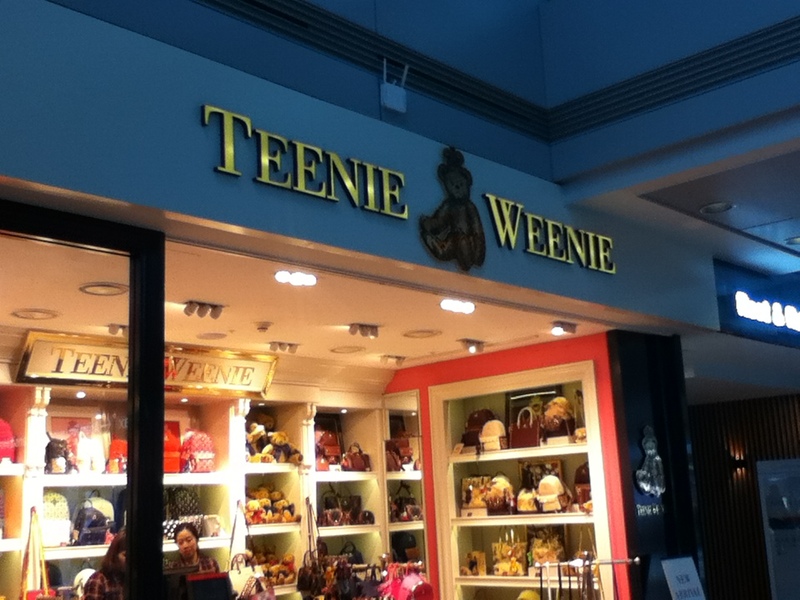 Look for a store that caters to their specific needs. 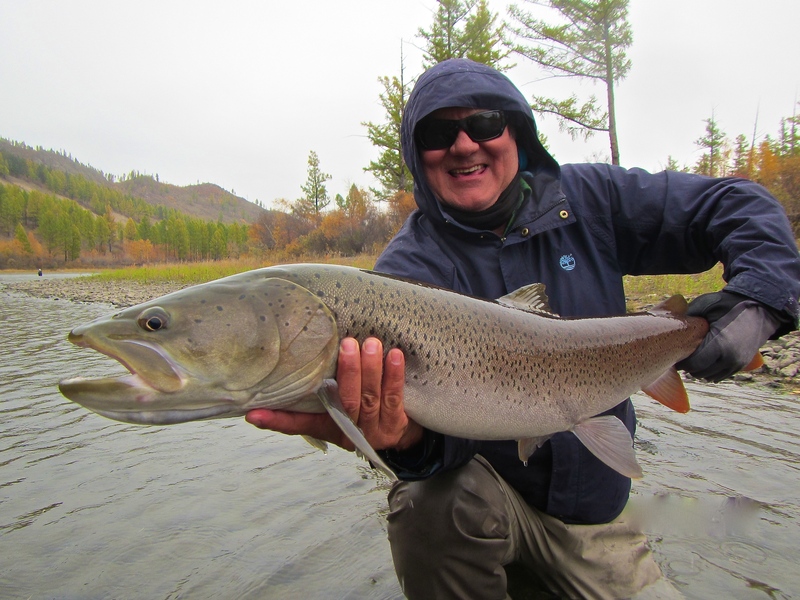 Once again, the 2014 Fall Taimen Fishing Season in Mongolia affirmed my faith in the fish, the fishery, and the future. 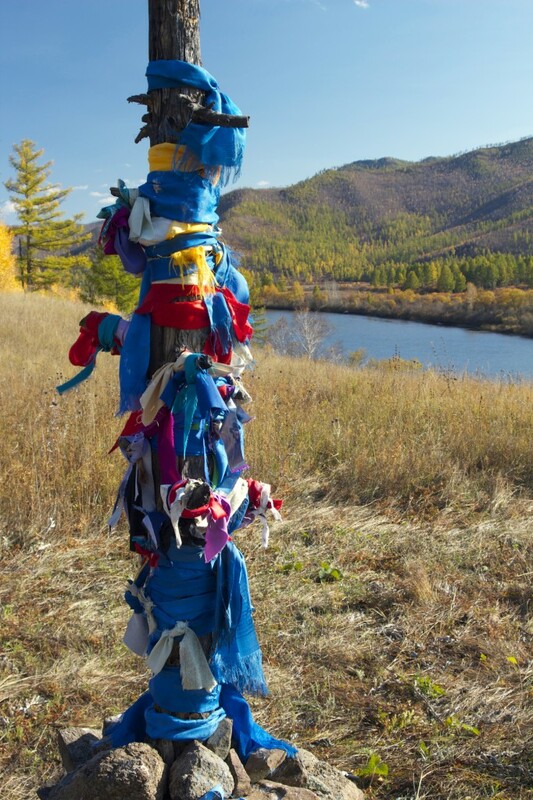 Conservation efforts implemented by Sweetwater Travel Company and Hovsgol Travel Company, and carried today with religious zeal by Charlie Conn at the Taimen Fund, are working. 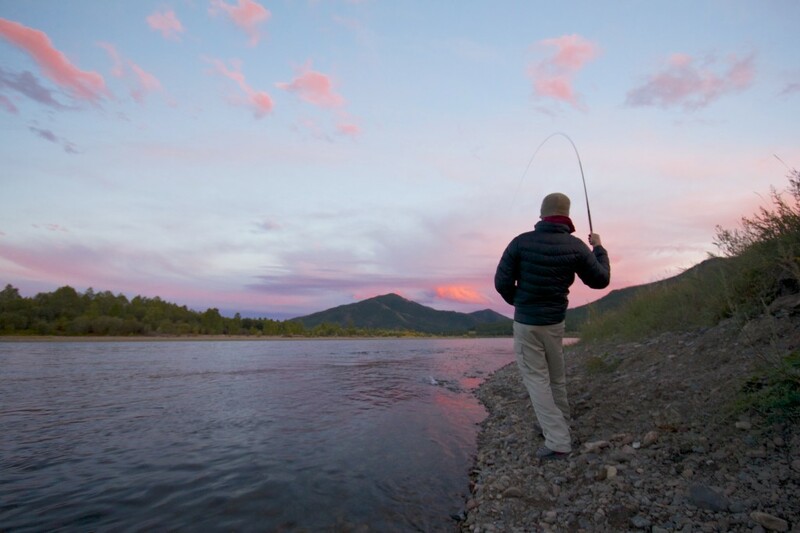 The long-held dream of establishing a fly-fishing-only taimen sanctuary on this great river system may actually be in reach. The Taimen of Outer Monglia are settling in for another winter under the ice. May we all be fortunate enough to meet again.